Thugs of Hindostan free fall mode continued on Tuesday (6th day) also. Although drop is less on day 6 than the previous day. But again collection is in lower region and hence any kind of drop is bad now. TOH opened to a paltry 12% occupancy in Morning shows today. Film registered 15% occupancy for Noon shows. As per latest report, Evening and Night shows are registering an occupancy of 19-20%. If same samples of Tuesday are compared to Monday then there is an occupancy drop of around 15%. However, there is still re-shuffle of showings between TOH and other films is going on and hence, business drop may be a bit more than occupancy drop. Early trends for the day suggest, TOH sixth day business will come around 4.5-5 crore nett. These are estimates from limited samples we have right now. Final count will depend on how film performs in interiors and also on late Night shows whose reports are awaited. 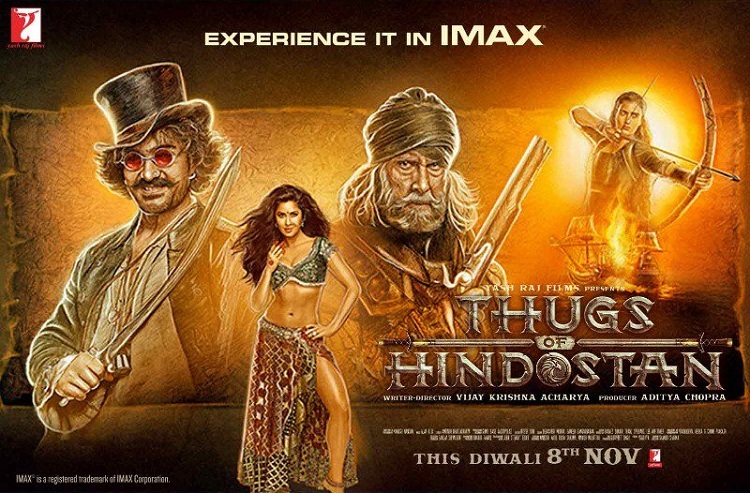 Thugs of Hindostan has collected 129 crore nett in first 5 days. Film extended first week total is now trending towards 140-141 crore nett mark. U all can't discuss without abusing. And I appreciate Salman fans here u fool. And as far as blockbuster is concerned Shahrukh have 10 blockbusters. Aaj janam Liya hai kya. Check Box office India. 10 blockbusters are -Darr,Karan arjun, DDLJ, KKHH, Dtph, kkkg, OSO, Rnbdj and CE. So it 9.may be 10 if Baazigar declared blockbuster after BOI update. You haters are totally blind. But Thugs Of Hindostan is an MAHA EPIC DISASTER with manipulation.